More than 7.6 million Americans receive senior home care, according to the U.S. Census Bureau. And the number is much greater when you consider that it does not include informal care which is care given by a friend or family member. Home care is generally defined as non-medical support services delivered at the home of a senior. The aim of home care is to allow seniors to remain at home longer. Home care is an alternative to an assisted living community, nursing home or some other type of institutional senior care. Home care may be appropriate if a senior prefers to stay at home but needs assistance with activities of daily living. Activities of daily living include bathing, dressing, and meal preparation. And they may also extend to many other types of support. This includes things like: assistance with transportation, bill-paying, pet care, making appointments, and simply being there to provide companionship and emotional support. 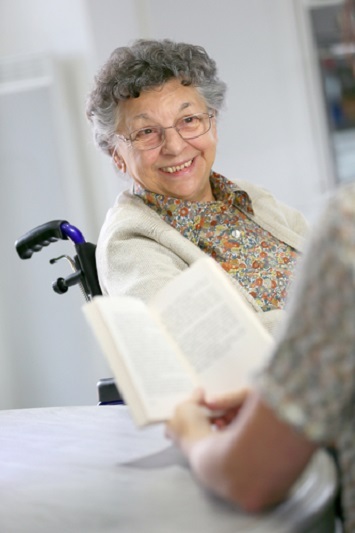 Senior home care services are available 24 hours a day, seven days a week. And you can pay for them directly, or through a variety of public and private funding sources. Often people pay for senior home care with long term care insurance, Veterans Benefits, workers’ compensation, and Medicaid. Need Senior Home Care in Kentucky? If you or someone you love needs senior home care in Louisville, Kentucky, or anywhere in the state of Kentucky, All Best Home Care can help. We’re here to provide you and your loved ones with high quality and affordable caregiving services from the comfort of your own home. Our personal care attendants are experienced, English speaking, reliable and fully screened, and bonded employees of our agency. And all of our employees have liability and workers’ compensation insurance coverage. For more information about senior home care in Louisville, Kentucky, or in other Kentucky towns and cities including Lexington, Covington, Owensboro and Paducah, contact us today. We’re happy to discuss the variety of senior home care options available to you, designed to fit every need and budget. There’s no place like home! We are dedicated to helping seniors enjoy the richness of life from the comfort of home.